Top surface is made of stainless steel AISI 304 and AISI 430 0.8mm is used for casing and body. Stainless steel AISI 304 basin with rounded corners for a simple and hygienic maintenance. Chromed solid steel wire basket is supplied as standard. Thermo regualation is provided by working thermostat in range 50 - 190ºC, also fitted by safety thermostat set to 230ºC. 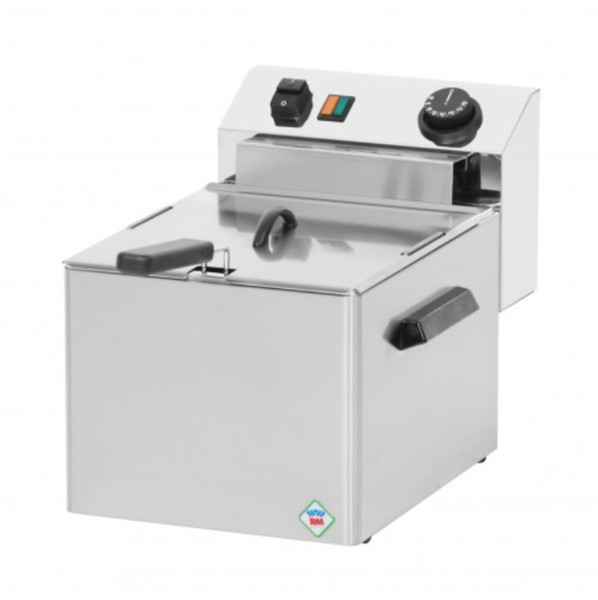 Fryers are available in many variations from 4 up to 30 liters.